Every time I visit Spokane, I find something new to make it my favorite surprise city in Washington. Early on, it was a winter relationship—one-night stands and well-groomed cross-country skiing at Mt. Spokane State Park. Come spring, we moved into long runs along Centennial Trail. By summer, we were dining al fresco downtown and taking in a performance at the Spokane Symphony. 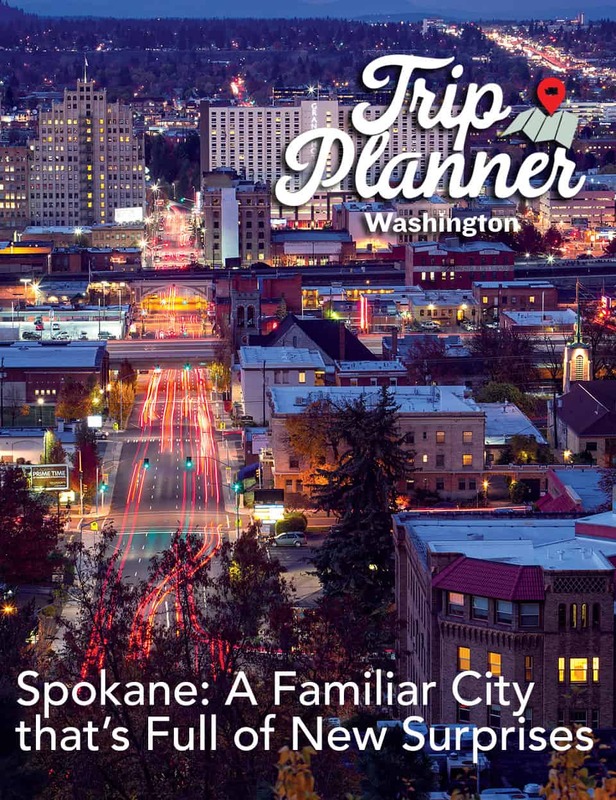 Welcome to this Trip Planner: Spokane, Washington. Beneath it all, I knew it was the old bones—old bones with a lively marrow—that brought me back. Like a forensic paleontologist, I dig into a city’s buried places, the older the better. These are the bones that will have more stories to tell and be of more value to a curious public. This was once the long-time department store, where Spokanians shopped for decades. Or Bing Crosby trod the boards here. The bones of this eastern Washington city are old, going back to the 1870s. Beautiful and boarded-up stone and brick buildings in its downtown core area are steadily being renovated for higher use. Though historians and rank nostalgists like me won’t be disappointed here, neither will entrepreneurs. 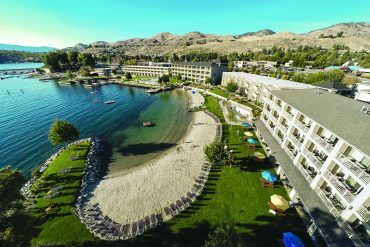 In and around Spokane, innovation is bubbling. There is the new medical school affiliated with Washington State University, only the second in Washington. Gonzaga University has partnered with University of Washington to double down on medical curricula in Eastern Washington. Spokane was also named one of ten Smart Cities nationally, a collaboration of business and government entities deploying technology to improve a city’s efficiency and livability. Churchill’s Steakhouse is a meat lover’s paradise. Often the best way to dive in is through a city’s cultural scene. We had a full plate of events in front of us—wine tasting at Barrister Tasting Room, dinner at Churchill’s and tickets to Carmen at the stunningly renovated Fox Theater. We bolted down to Washington Street, across from the stately Davenport Grand Hotel, and into Barrister Winery Tasting Room inside the Liberty Building, a turn-of-the-century red brick building. Barrister is the culmination of two lawyers who began experimenting with a zinfandel wine-making kit around the turn of the following century. 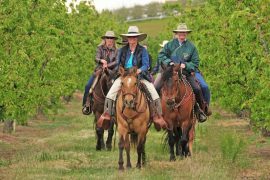 Greg Lipsker and Michael White turned their passion for winemaking into a garage startup before making award-winning wines with fruit from Washington’s top vineyards. The carménère with its French heart and Latin tongue was going to transport us to the perfect place in advance of Carmen. A couple of other tasting rooms have popped up in the downtown core. Cougar Crest Winery is close by and Maryhill Winery is putting the finishing touches on its sleek, modern tasting room in Kendall Yards, just across the Spokane River. From Barrister, it’s a nice ten-minute walk to Churchill’s Steakhouse, a Spokane classic. An elegant speakeasy of a dining experience, Churchill’s is a place where lights are low, conversations are engaged and service is at the fore of the experience. The menu is a library for all cuts of fine steaks. We opted for braised beef tips with mushroom risotto and an 8-ounce filet mignon. Both were excellent. Having just come from wine, we drifted into cocktails before heading to the Fox Theater. Originally built in 1931, this handsome example of Art-Deco theater architecture was designed by Robert Reamer, the same architect who designed Yellowstone’s “Golden Era” lodge, Old Faithful Inn. Now the permanent home of the Spokane Symphony, Fox Theater is a cultural force for the town. The ten-year, $31 million renovation brought back to life an era of splendor, with Art-Deco crownings that look like the headdress of a high priestess, its symmetrical feathers converging on a common arc over the brow of doors. In Spokane’s theater district is also the effort of developer Jerry Dicker, who bought and renovated the Bing Crosby Theater. This building, also on the National Historic Register of Places, plots Spokane squarely on the map for culture vultures. No indulgence goes unpunished, so it was out to Canfield Mountain Mecca Trail for a 10-mile loop, logging miles on old logging roads. 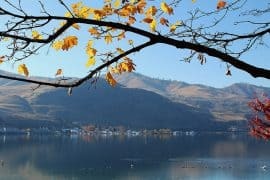 If you trod lightly the night before, try a more relaxed out-and-back hike and enjoy the views of Coeur d’Alene below. Though there are plenty of flowers to stop and smell, we struggled against distance and height, the route gaining more than 2,500 feet in elevation. My heart pounded, but my mind was on baked goods. Somewhere down below on Third Street in Coeur d’Alene was Strada, a top coffee shop ready to pull an Americano and a Cubano latte. Back at the Davenport Grand, we decided to kick back for the afternoon. The Davenport Hotel array in Spokane is a collection of four stately properties. Doubletree, Ruby hotels and the newly rebranded RL, or Red Lion, hotels are also well-placed for downtown exploration. On a sunny and warm fall day, the best way to relax is to grab a book and head to the second floor terrace for baba ghanoush and a beer. The terrace bar serves a full drink menu with a snack food menu. If you don’t have a good book with you, skip out to Auntie’s Bookstore on Main or Atticus Coffee & Gifts on Howard. On the Davenport terrace and above the Riverfront Park, the world below hushed, to while away the afternoon between the pages of time. We stayed on the fine side of dining this night at Santé, a farm-to-table charcuterie and restaurant with a good kitchen behind it. Executive chef Jeremy Hansen is a culinary force, without doubt. He studied at Portland’s Le Cordon Bleu before heading for New York and working alongside Michelin Star Chef Gray Kunz. His farm-to-table and tip-to-tail butchery practices are on full display at Santé. Duck prosciutto, garlic sausage and goat cheese agnolotti were on the menu and our plates. As good as the dinner was, service, on this night, was not. I’ll gladly come back in hopes that the service matches the sabor. Proximity to the Centennial Trail State Park is a premium for any runner or hiker. The 38-mile trail runs through town and out to the Idaho border. Thankfully, we attempted only a short segment of this. Out east and past the campuses and playing fields of Washington State University-Spokane and Gonzaga University winds the trail. It is of mixed strata, following the banks of the Spokane River. This trail also is a good way to see the different facets of Spokane, from public art and manicured parks to rugged industrial and high desert. 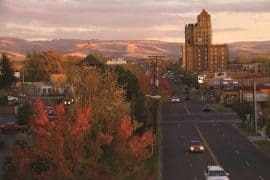 In 2015, Spokane was chosen to be one of the first ten national “Smart Cities,” a program which leverages technology and data to improve a community’s quality of life. Centered in the University District, Spokane Smart City initiative is a collaboration of local utilities, local government, technologists and Washington State University. The effort of this group is evident through smart streetlights that conserve energy and measure air quality. One of my safe places in town is Rocket Bakery. The coffee is outstanding, the pastries are good and the ambience takes on the patina of the renovated buildings they occupy. It’s also a good environment to plug in and work for a bit or to rediscover the art of gab. We couldn’t leave town, of course, without cruising the galleries and boutiques of Kendall Yards before heading to the shopping mecca of River Park Square. As Sarah slipped into Anthropologie and Athleta, I found a place outside in the shadow of all of the old buildings in various stages of renovation and produce a book from my back pocket to commit another act of nostagic rebellion—reading. 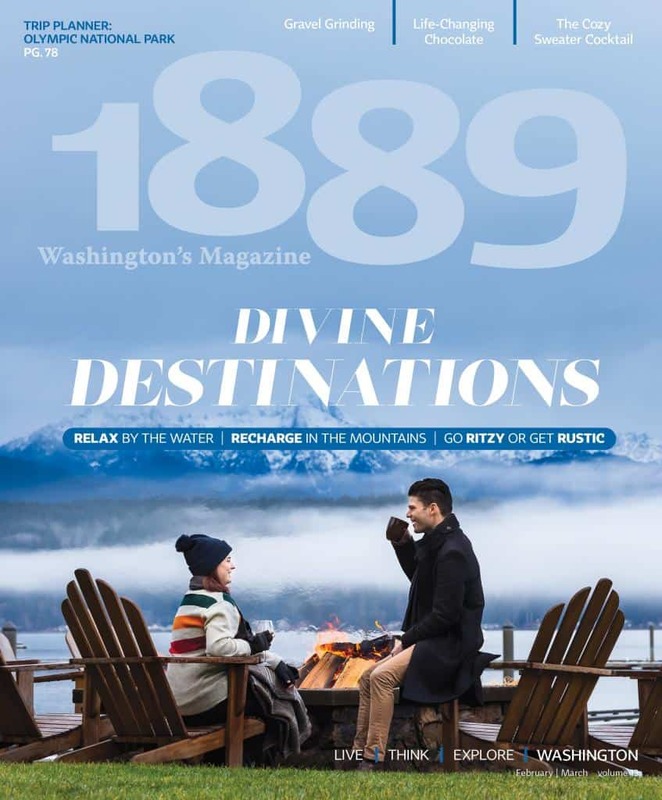 I have never heard anyone from or near Spokane refer to themselves or others as Spokanians (including the two people from Spokane who write for your magazine). Unless you’re contracting Spokane Indians…and missed a “d”? Spokanites, maybe, but Spokanians? that’s great information Carolyn! We should do a piece about what every city resident calls themselves. I think that the Steam Plant should be on this list. Not only have they renovated it, but they have kept the “bones” and you can explore the whole place and take the old water company’s history. They also have dining and cute little shops to get unique gifts! Nice. You described your trip with pictures which is looking very beautiful. But you miss one thing in Spokane which is very interesting. Remedy Kitchen which has yummy food & always favourite south hill restaurant of people. I suggest you should try it for one time.